Well, after months of slowly working our way through Molten Core, on Monday night we finally got to see Ragnaros himself. It’s a pretty spectacular event. Observing the battleground. The well-dressed elf to the right is Ushaia. 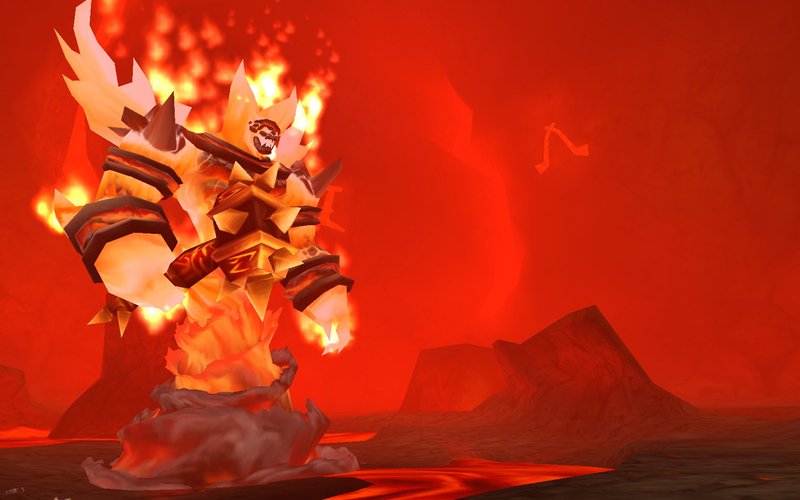 Majordomo Executus summons his master, Ragnaros. (Not a wise move on his part, really, since Ragnaros is cranky and promptly squishes Executus.). 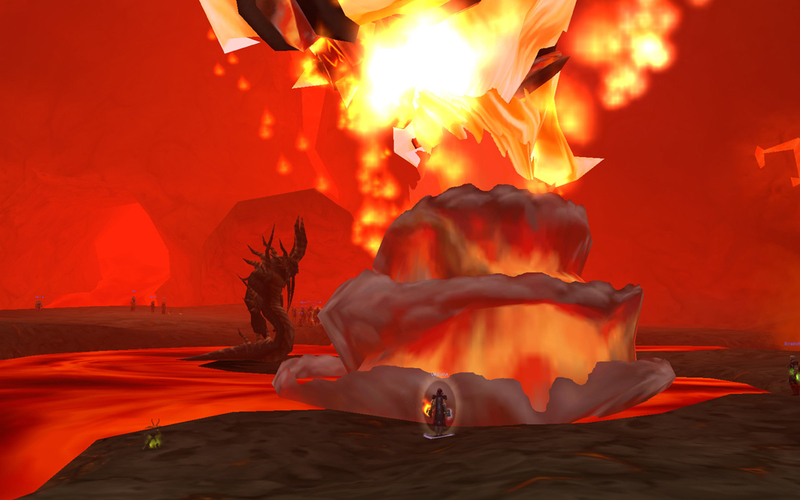 Ragnaros is summoned! Note the teeny weeny little human in front of him… that would be Verlyna, our main tank. 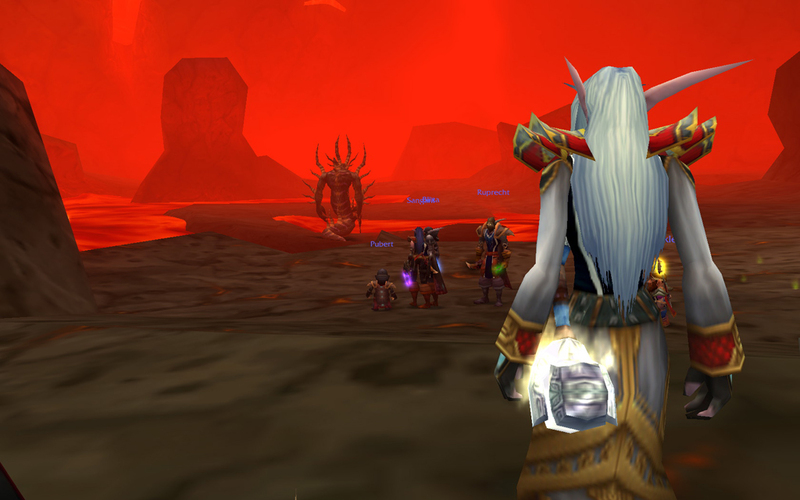 Ragnaros surveys the carnage. (There are 40 dead bodies out of the frame. ).